Prices shown are only applicable when ordering with the Rack systems. Order charges will apply if ordered on their own. Please call for details. 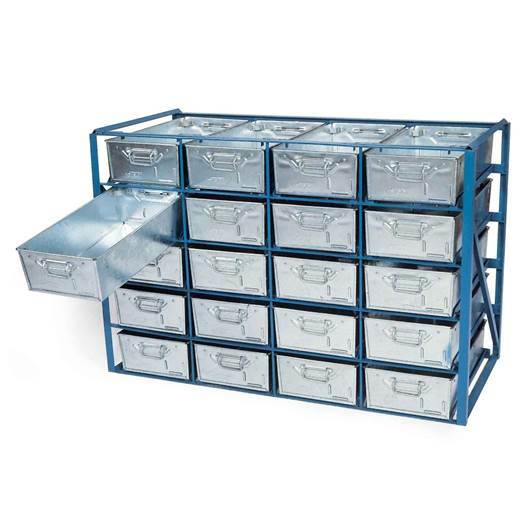 This range allows the most economical use of available space. Stacking up to 2 racks high, storing 4 pans wide. 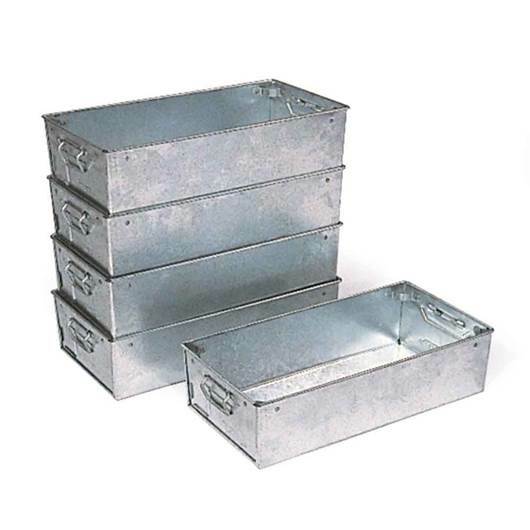 Safety stops allow access without the complete withdrawal of pans. 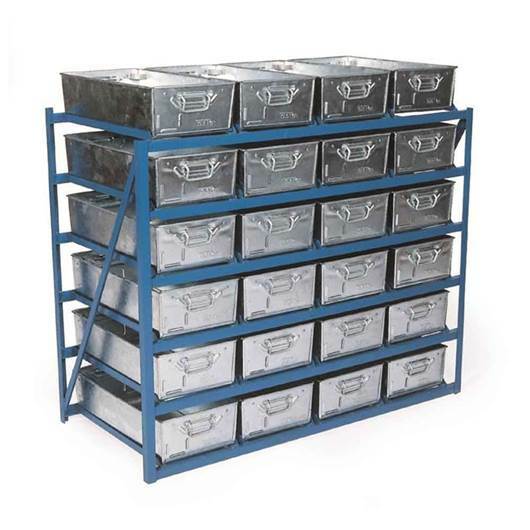 All racks are supplied without tote pans which must be ordered as additional items. 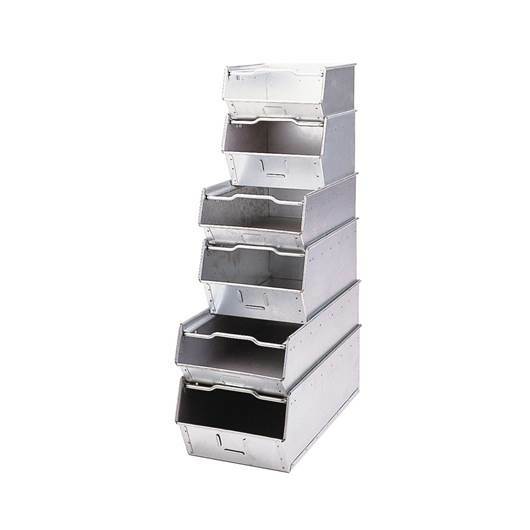 Can be stored up to 3 high, storing pans 4 wide. 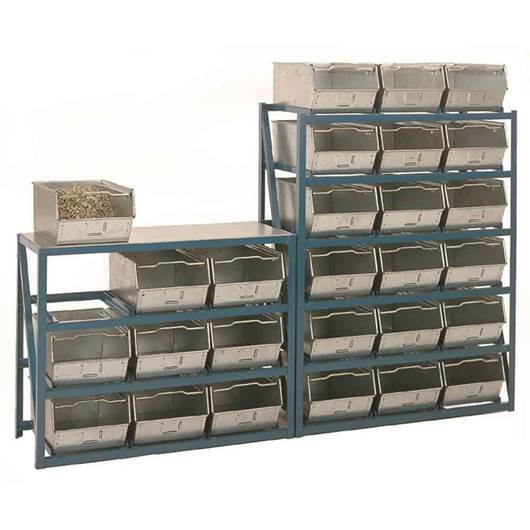 Horizontal or tilted shelves for ease of component viewing. 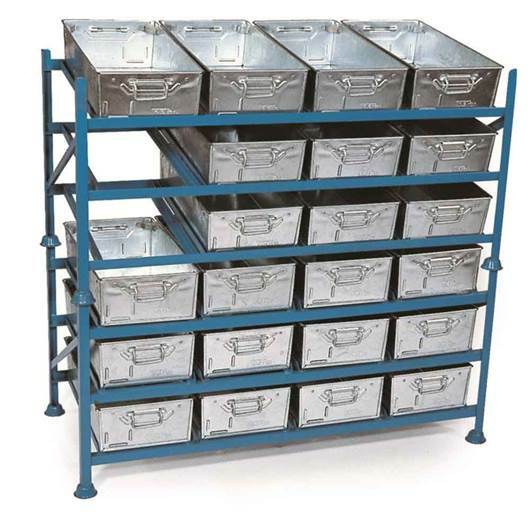 TILTED RACK SYSTEM (GRT): All welded construction with pan retainers, storing pans 4 wide. With tilted shelves for component viewing. 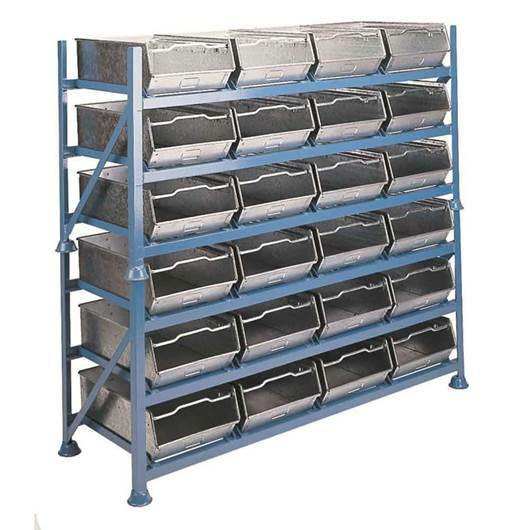 HORIZONTAL RACK SYSTEM (GRH): As the Tilted Rack System except with horizontal shelves. 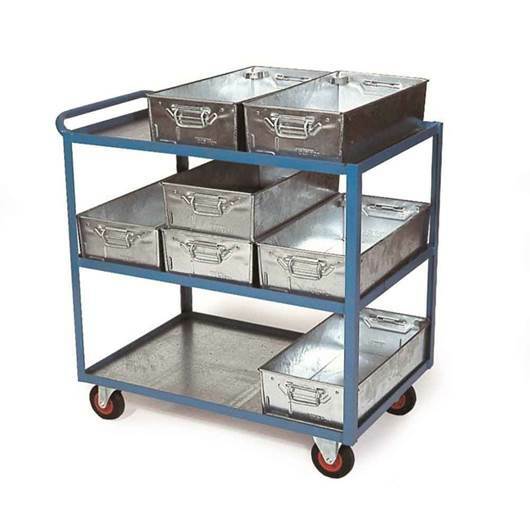 Spot welded construction from galvanised steel with rear half lift handle, front handle support bar, card holder, reinforced rim and stacking runners. Semi open front permits instant viewing and access to contents.